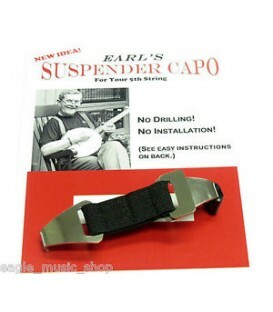 If you can install these banjo capo 5th string spikes or "tacks" or have them installed then this is a great way to go. Sliding capos have been seldom used since someone came up with this idea of using these capo hooks. 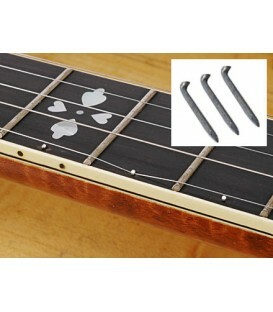 Most pickers use the 5th string capo spikes like these to capo up the 5th string on their banjos. Spikes are my prefered method for a 5th string capo. Earl Scruggs used these spikes on his banjo to capo up the 5th string too. I like to use this same method. IF you order a banjo, have these installed at the the time of purchase. WHY? Because you may want to play in other keys besides G in standard tuning. You can install these fairly easy. watch a couple how to videos first so you don't destroy your banjo. 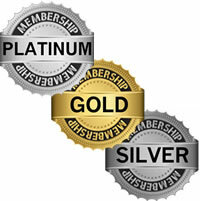 It is not rocket science to install these but you need to know a few things to do it right. 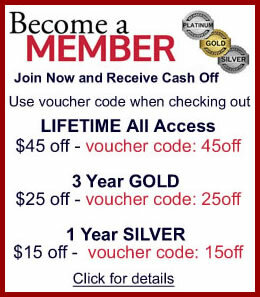 You will need a few simple tools and supplies to do a first class job. Once properly installed, you will be ready for any jam session. 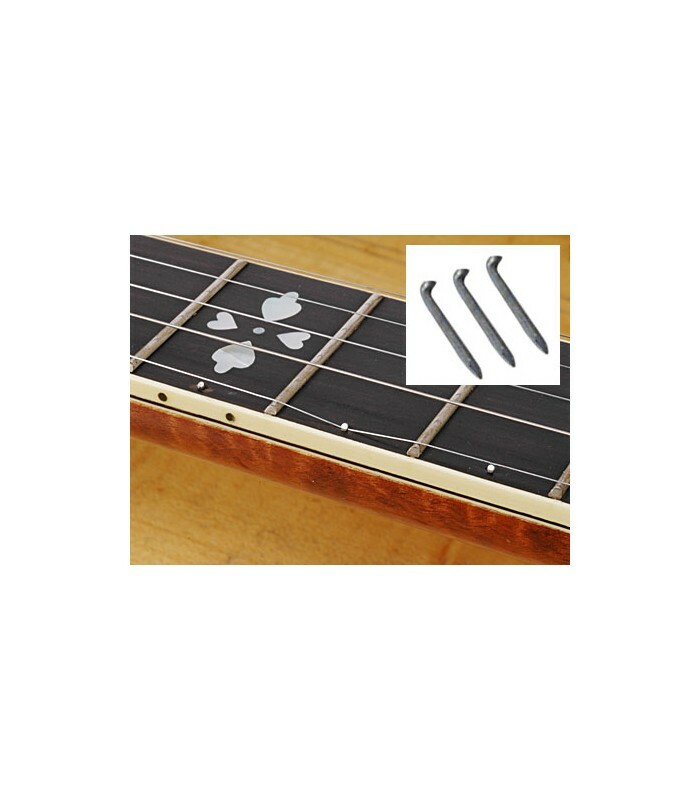 I use spikes at the 7th to 10th frets and go all the way to the 12th fret. on one banjo and another banjo I have spikes from the 6th to the 12th frets. I did that to give me options of keys to play in. Just put the 5th string under the desired spike and use the other capo for the other 4 strings and yo check tuning and get ready to play, Spikes and banjos were meant to be together.